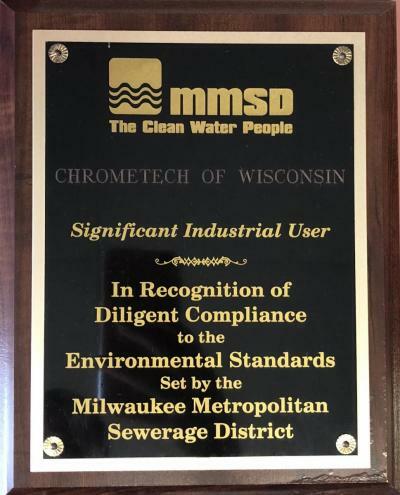 ChromeTech of Wisconsin Inc. strives for customer satisfaction by continually improving processes, products, and services to ensure we consistently meet or exceed customer requirements. This is evident, in part, by our ISO 9001:2015 registration and continuous improvement programs. Our commitment to our customers is demonstrated by the significant number of long-term, loyal and satisfied customers that we supply every day. Our company strives to deliver products on time, every time, at the highest levels of quality. Quality Control is everything, and this philosophy is shared by every employee at Chrometech. The basis and cornerstone of Chrometech's quality assurance system is the ISO 9001-2015 Quality Management system. Our program is currently certified and audited annually by our registrar AMTEC. The quality management system is implemented across our entire organization and the ISO 9001-2015 structure of documentation provides a foundation of control over all of our processes. The performance of our company is measured and analyzed to insure both CUSTOMER SATISFACTION and CONTINUAL IMPROVEMENT are being achieved. ChromeTech is dedicated to the safety of our environment. In an industry that is highly regulated Chrometech stands out as being a leader in environmental compliance. Many of our plating finishes are RoHS compliant. We have been providing our customers with RoHS (The Restriction of Hazardous Substances Directive) Compliant plating solutions since the directive took effect in 2006. Whether your products are required to comply with the directive, or you are simply concerned about the environment, we are here to provide the RoHS compliant plating you need without any sacrifice of quality or efficiency. Compliance with REACH (Registration, Evaluation, Authorisation and Restriction of Chemicals) is business as usual at ChromeTech. 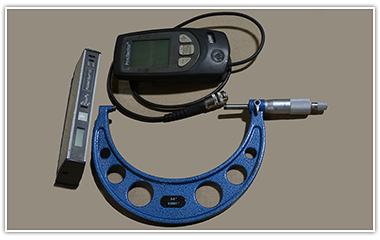 We are happy to supply our customers with the appropriate documentation for our processes and the resulting finished products we produce.